The Whitney and Son staff (L-R): Bethany Jones of Fitchburg, Mass., service assistant; Brian Spring of Sterling, Mass., road service; Jamie Zisk of Fitchburg, Mass., service technician; Bruce Gallant of Leominster, Mass., supervisor; Dave Wentworth of Fitchburg, Mass., road technician; and Ian Krietler of Milford, N.H., service technician, stand in front of the Lokotrack LT106 mobile jaw crushing plant during a break in the class. 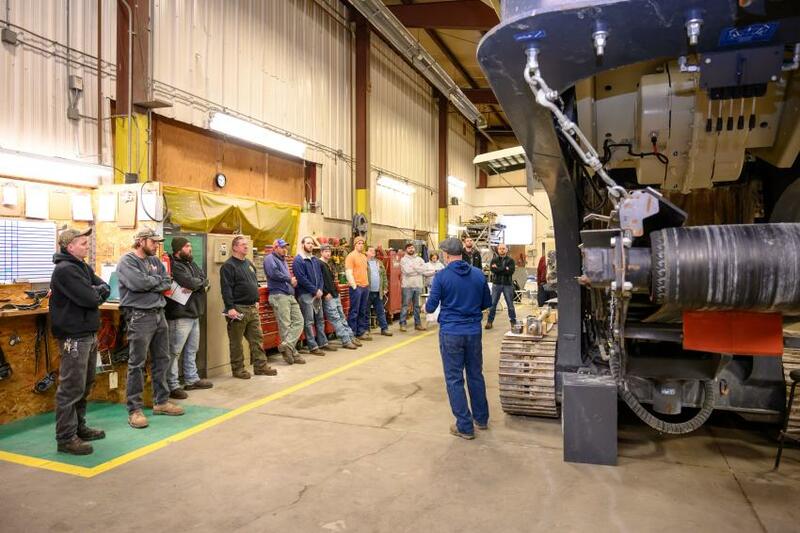 Whitney and Son Inc., located in Fitchburg, Mass., held its Crusher School to educate new and repeat machine customers on the Metso Lokotrack LT106 mobile jaw crushing plant and Metso Nordberg HP series cone crusher. 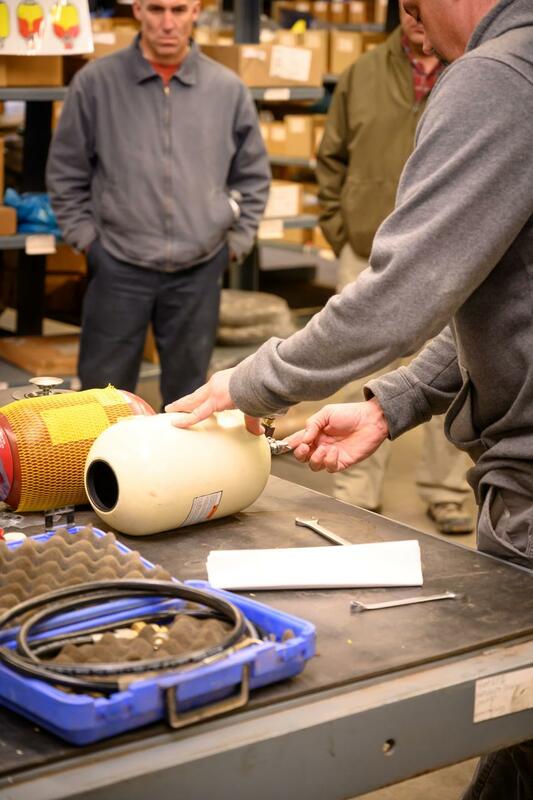 Educational sessions for the Nordberg HP cone series took place Feb. 5 to 7. 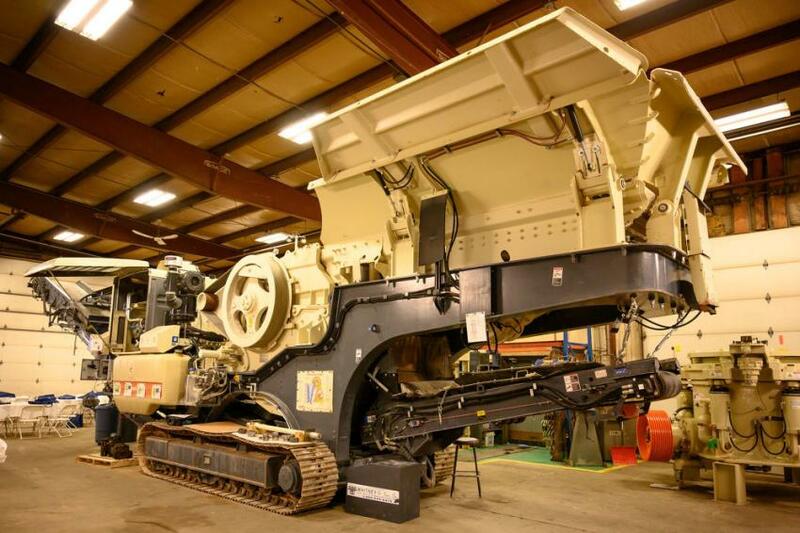 Sessions for Metso Lokotrack LT106 mobile jaw crushing plant took place Feb. 12 to 13 at the Whitney and Son facility. 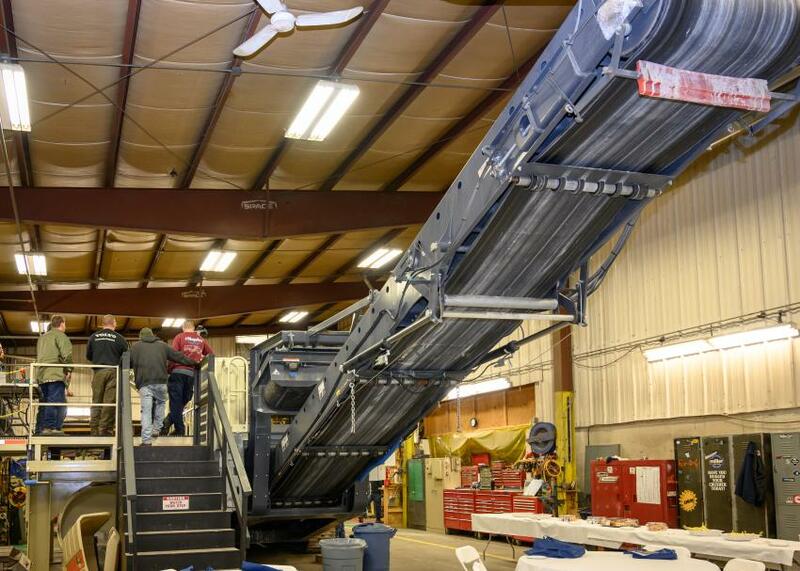 Crusher School is designed to give customers the opportunity to learn in a hands-on environment about these machines. 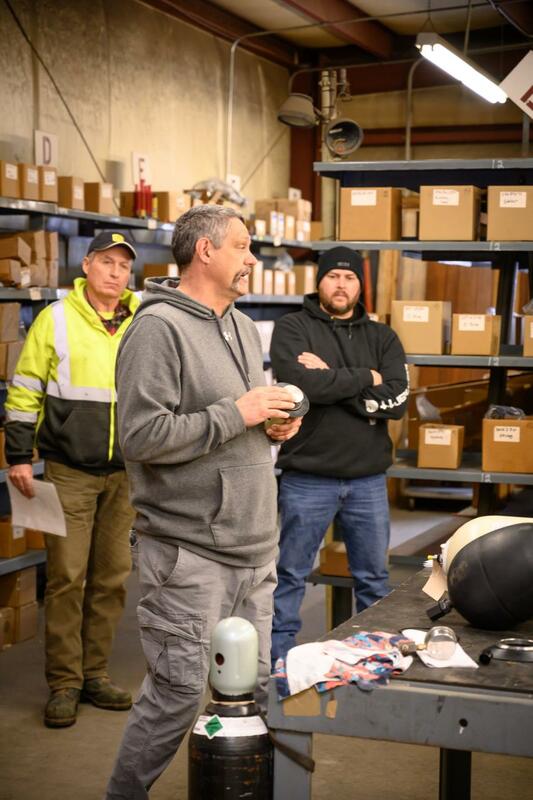 They are able to hear first-hand stories and experiences from the people they will call if and when their machines need maintenance or repairs. On Feb., 13, visual examples both on and off the LT106 were provided. 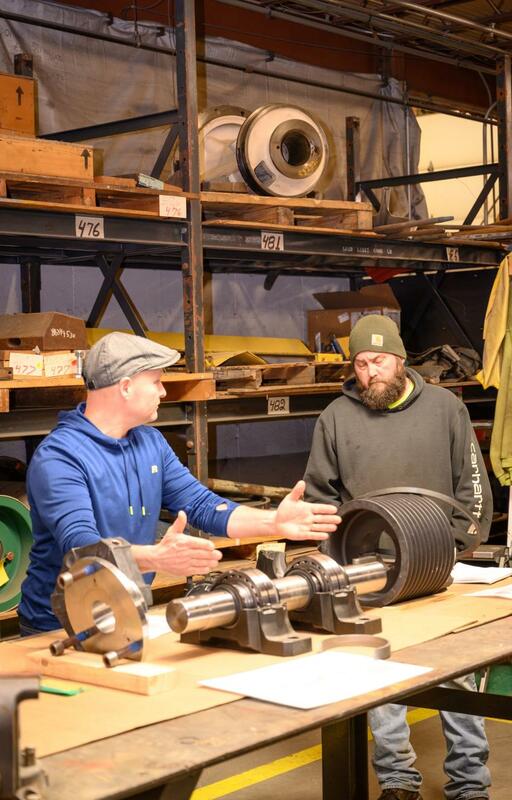 Bruce Gallant, a service manager who has been with Whitney and Son for 24 years, said the purpose of these training sessions is, "To familiarize the customers in regular maintenance and show functions, what to look for, what to hear; to show them things they didn't know and reasons why things happen. It will pay off them in the long run." All participants watched a video to start the day before splitting into two groups. Each group went to different stations located throughout the Whitney and Son facility. Both groups started the lesson in front or on top of the Lokotrack LT106 and leaders explained proper maintenance by using visual aids and signs to look for. Jamie Zisk of Fitchburg, Mass., a Whitney and Son service technician for more than 26 years, led one of the groups. Dave Wentworth of Fitchburg, Mass., an eight-year road technician of Whitney and Son led the other. Both Zisk and Wentworth focused their lessons on proper operational practices, mechanical components, maintenance and what steps need to be taken if and when issues arise in the functionality of these machines. While showing an example of a damaged fly wheel to the class, Wentworth said, "Keep your eyes open. This fly wheel was only found because we were out there installing a new remote on the machine. While we were there we started poking around. All of these parts were damaged. They didn't know what to look for. They didn't understand it. Today, you guys should understand what you are looking at and if it's right or wrong by the end of the day. What we can teach you to catch today will save you from a breakdown tomorrow." The Lokotrack LT106 mobile jaw crushing plant is on display for Crusher School at Whitney and Son Inc. in Fitchburg, Mass. Tension rod and locking is on display from the C-Series jaw crusher. 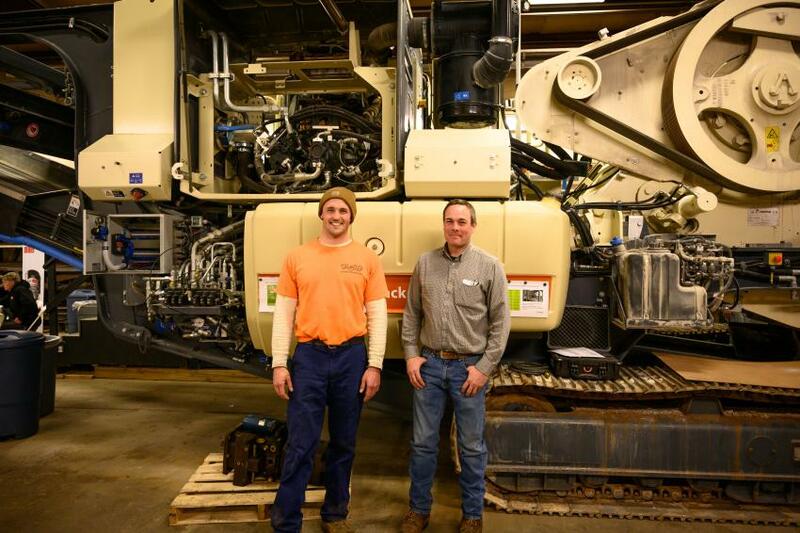 Mike Gualazzi (L) of Essex, Conn., of Cherry Hill Construction in Branford, Conn., and Tony Moura of Winsted, Conn., a seven-year outside sales associate of Whitney and Son, stand in front of the Lokotrack LT 120 mobile jaw crushing plant. This is Gualazzi’s first year attending Crusher School. 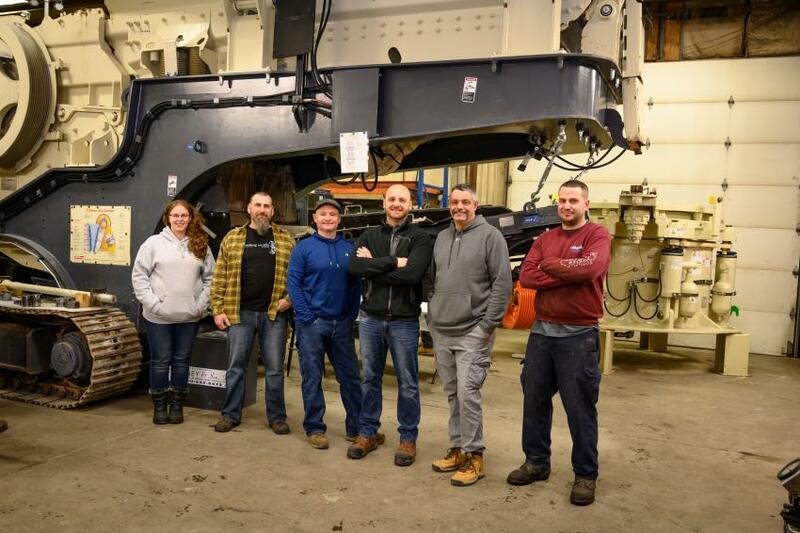 Group A’s class begins on a Lokotrack LT106 mobile jaw crushing plant instructed by Jamie Zisk, a Whitney and Son service technician of 26 years. 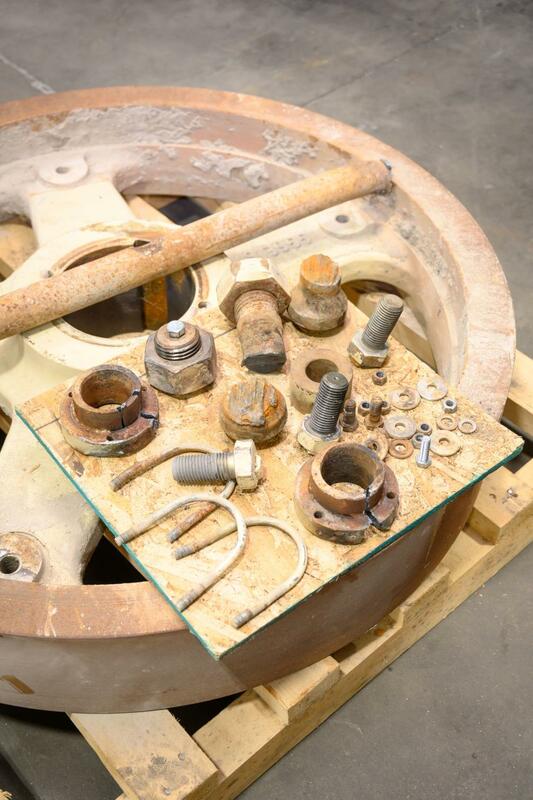 Parts from an LT106 fly wheel and hydraulic pump on display to show examples of what to look for with machine maintenance and production issues. 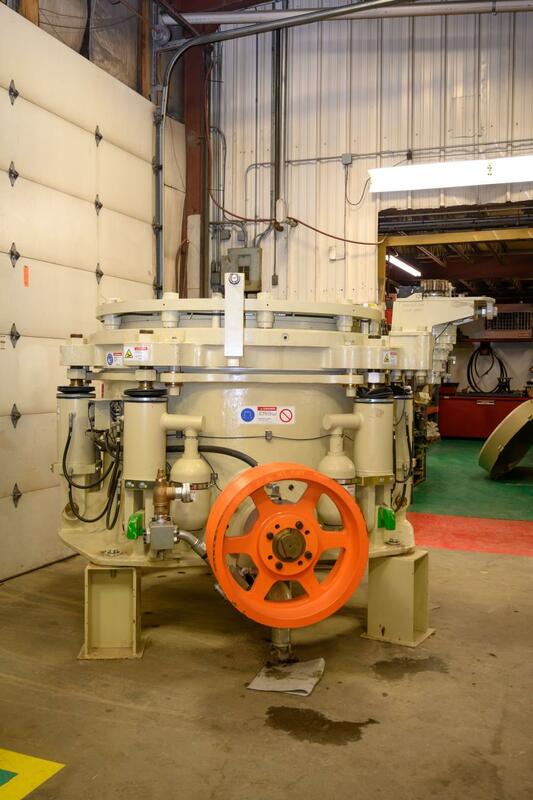 Nordberg HP series cone crusher on display from a previous day’s class focused on mechanical components, maintenance and diagnostics. First time and repeat customers listen to Jamie Zisk discuss the importance of proper grease practices in front of the LT106. Jamie Zisk gives a hands-on lesson with a variety of parts on display in the stockroom. Dave Wentworth, a Whitney and Son road tech for eight years, explains the importance of a fully-functioning accumulator and the signs to be aware of from wear and tear and malfunction. 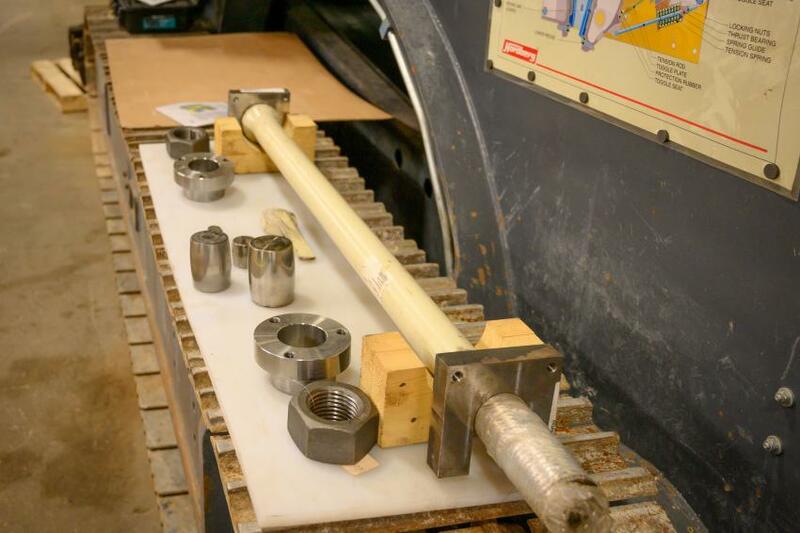 Dave Wentworth of Whitney and Son uses a variety of part and visual aids to explain the impact that a blocked valve could potentially have on a machine functioning properly. 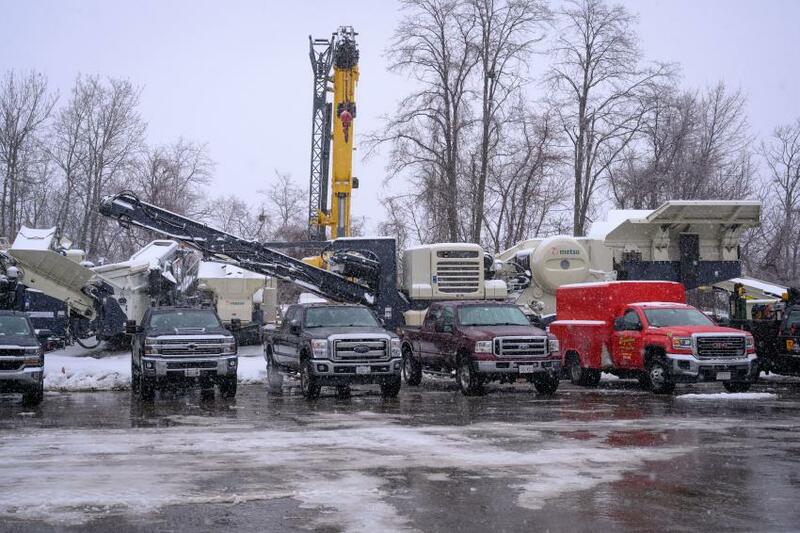 A Lokotrack LT120 jaw crusher sits directly behind the line of vehicles in the Whitney and Son lot on the snowy day of crushing school.